Introducing the Virtuoso+, an upgrade and replacement of the current Virtuoso. In response to customer requests, we have updated the timer switch for a digital display and kept all the other trusty parts the same. The 40 second digital timer allows you to easily set a repeatable dose. And with intuitive adjustments to the tenth of a second, the every day grind just got even better. 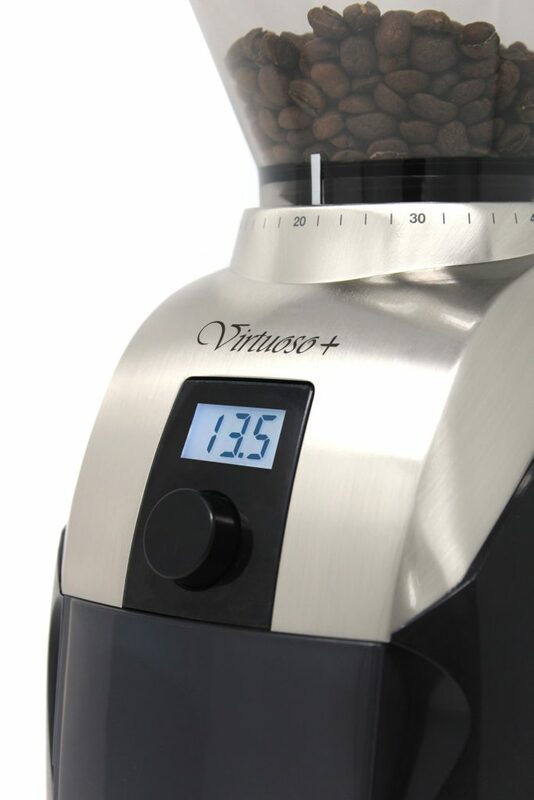 This multi-purpose grinder is the step-up for the advanced coffee lover. 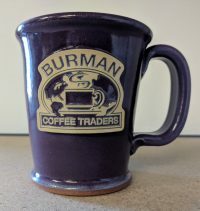 The high performance burr set reduces the fines in all levels of grind which gives a clean (café quality) taste in the cup, while the digital interface allows for easy, time-based dosing. With an elegant and attractive metal casing to accentuate your coffee corner, this is a brewing tool that will fast forward your coffee journey with consistency and reliability. *Now includes free UPS ground shipping within the contiguous U.S.! Just select free ground shipping upon checkout. Introducing the Virtuoso+, an upgrade and replacement of the current Virtuoso. In response to customer requests, we have updated the timer switch for a digital display and kept all the other trusty parts the same. The 40 second digital timer allows you to easily set a repeatable dose. And with intuitive adjustments to the tenth of a second, the every day grind just got even better. This unit comes with a professional burr set that will cut the beans, not smash them, no powder throw-off here. 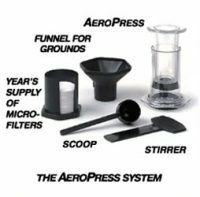 40 different grind setting to give you the versatility to use any brewing method. 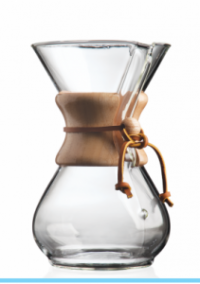 A very even and consistent grind ensures even extraction of your brew. This grinder keeps cool, it is important not to heat up the beans during the grinding process to get that crisp clean cup. A great grinder! This is what we use here, and at home. Very rugged with an even and consistent grind! 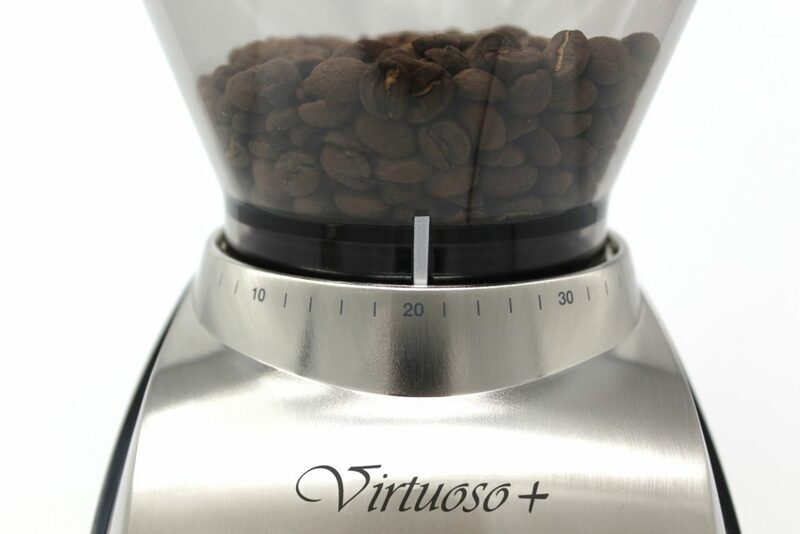 The Virtuoso Grinder was introduced in Dec. 2005. The Virtuoso has many of the winning features of the Encore along with commercial grade components, higher performance and sleeker style. With the Virtuoso, it’s now easier than ever to make professional quality coffee, whether at the home, the office or your cafe. In additional to all the great features of the Encore, the Virtuoso includes commercial grade conical burrs, a 480 watt DC motor, a new shape and a beautiful brushed-satin metal top. There are many coffee grinders on the market. However, few have the ability to grind fine enough for a professional espresso machine and coarse enough for a press pot. The Virtuoso has 40 steps of adjustment. Choose the perfect setting by turning the bean hopper to the desired position. The grind range is from 200 to 1200 microns. Commercial grinders have a calibration system to ensure that the grinder will grind fine enough for espresso and has the range to grind coarse enough for press pot. This feature is available in the Virtuoso. The grinders are calibrated when they are manufactured to ensure an accurate range of grind. If necessary the grinders can be user calibrated. The powerful, high torque motor effortlessly drives the burrs. This motor turns slowly resulting in cool, quiet operation and permits long grinding duty-cycles. 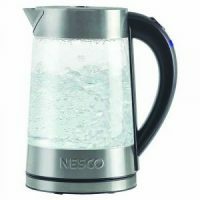 The circuitry is equipped with an automatically resetting, thermal cutoff switch. The Virtuoso+ utilizes a simple and efficient direct drive gear reduction transmission to move power from the DC motor to the rotating cone burr. A thermal overload cutout protects the motor from overheating due to excessive use – remember, these grinders are designed to grind a dose at a time for home use! One important and often overlooked task required of owning a good coffee grinder is routine cleaning. 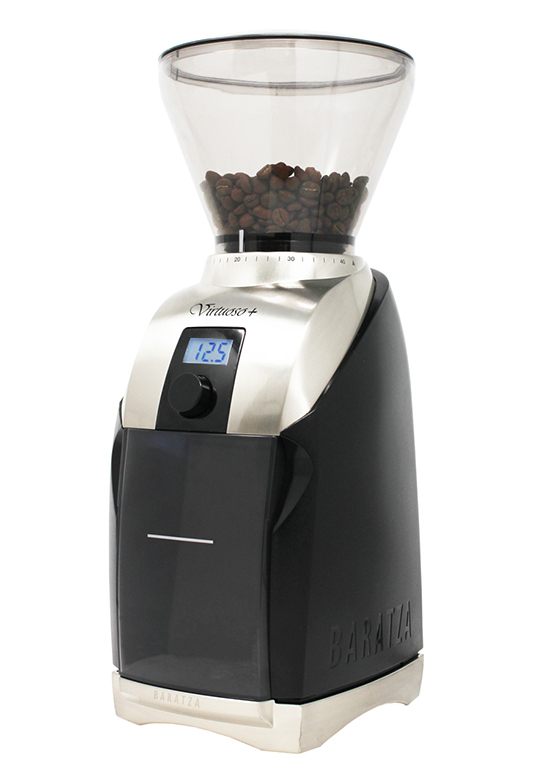 To clean the Virtuoso, just remove the coffee been hopper to expose the grinding chamber. At this point the outer ring burr simply lifts out. The entire grinding chamber can then be thoroughly cleaned in a few minutes.